Glaucoma Causes | Symptoms | Prevention | Surgery- It’s a condition which causes damages to our eye’s optic nerve and becomes worse over time. 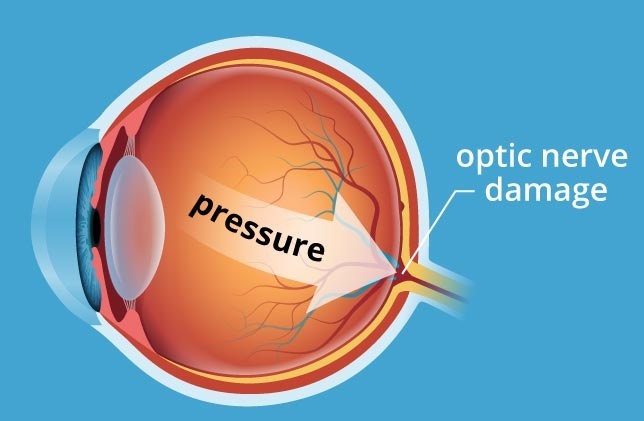 This damage is caused by abnormally high pressure in your eyes. In our United States, glaucoma is one of the leading causes of blindness. You can face glaucoma at any stage in your life but it’s more common for older adults. The biggest problem of glaucoma is that it gives no warning signs. You may not notice a change in your vision until the condition is at an advanced stage. Glaucoma is so dangerous to our eyes vision. Normally, glaucoma happens due to the high fluid pressure inside your eye. This fluid is called “aqueous humor” that flows out of your eye through a mesh-like channel. If this channel is blocked due to any condition, the liquid builds up. This is the main cause of glaucoma. The main reason for this blockage is unknown till but some doctors’ say that it can be inherited, meaning it’s passed from parents to their children. What happens if glaucoma is left untreated? How to prevent eyes from glaucoma? If you lose your vision due to glaucoma can't be recovered. So it's important to have regular eye exams that include measurements of your eye pressure. If glaucoma is recognized early, vision loss can be slowed or prevented. If you have the condition, you'll generally need treatment for the rest of your life. How long does it take to go blind from glaucoma? Glaucoma becomes worse very slowly. Glaucoma required treatment in early stages. It takes on an average of 15 years to progress from early damage to blindness with an IOP of 21 to 25 mmHg, 7 years with 25 to 30 mmHg, and 3 years with a pressure more than 30 mmHg. Thus, most eye doctors will treat a pressure over 30 without signs of damage. How long does it take to recover from glaucoma surgery?